Expedia Bucerias holiday packages can help you save! Bundling your reservations will give you more spending money for your epic holiday. Reserve a travel package on Expedia and save up to 59%*. With just a few clicks, you can arrange everything you need for your next trip via our comprehensive database. And — with more than 400 partner airlines and 321,000 properties from all over the world, you'll have the freedom to be fussy! Almost all bookings can be changed without any added fees from us. It's enjoyable to just roam the streets in a new destination, but sometimes it's a wise idea to have a plan. Grab your schedule — we've got some wonderful ideas for your forthcoming Bucerias holiday. If you'd like to bump a few strokes off your score, then head over to Nayar Vidanta Golf. Grab some clubs, develop your swing and relax with the friendly locals in the clubhouse. There's an excellent range of things to do in and around this destination. A day by the ocean is an ideal way of keeping the kids out of trouble. Take some buckets to Playa Bucerias and see who can collect the most intriguing shells. Still have some time on your hands? Get into your khakis and grab hold of your best putter. If you're desperate to get outdoors for an afternoon on the fairways, lock in a tee time at Flamingos Golf Club. You don't have to sleep in deluxe hotels or fly first class to have an amazing holiday. Just get stuck into all the cool things you can do while you're there! On the hunt for something everyone can enjoy? Why not look into buying a Discover Art, Culture & Food with Locals in Bucerias? Got some time up your sleeve? Visit our Bucerias things to do page for a full range of options. There's nothing better than putting your feet up after an exciting day of activities. 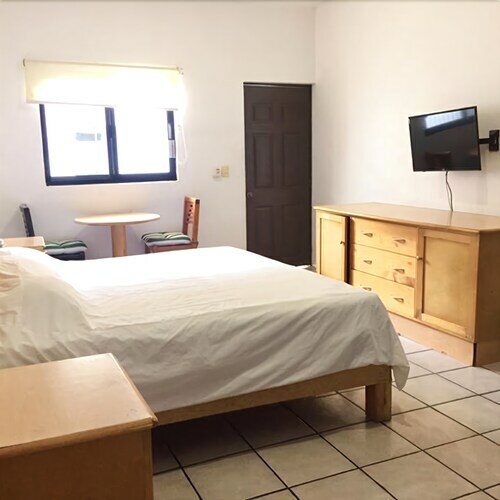 There are 48 accommodations in Bucerias, so securing the perfect room for your cheap holiday or luxury getaway will be a breeze. The Grand Velas Riviera Nayarit All Inclusive (Av. Cocoteros, 98 Sur) and the Marival Residences Luxury Beach Resort All Inclusive (Paseo de Los Cocoteros 53) are well-known to vacationers. No traveller likes hanging around at the airport. But it's worth it when you remember the trip that's in store! Positioned 8 miles (13 km) southeast of Bucerias, Licenciado Gustavo Diaz Ordaz International Airport (PVR) is the nearest terminal. 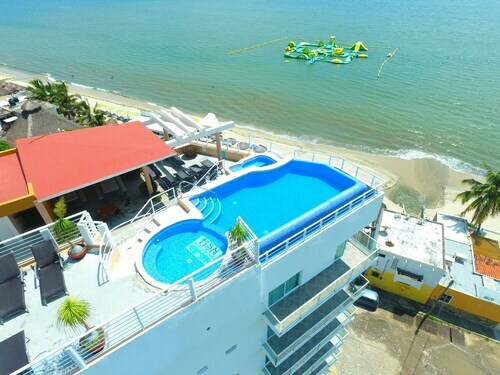 Nestled on the beach, this Bucerias resort is 0.1 mi (0.2 km) from Playa Bucerias and 2.1 mi (3.3 km) from Nuevo Vallarta Beach. Flamingos Golf Club is 1.9 mi (3 km) away. 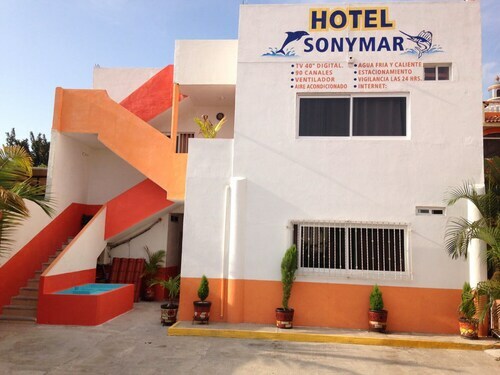 Situated near the beach, this hotel is 0.9 mi (1.4 km) from Playa Bucerias and 3.1 mi (5 km) from Nuevo Vallarta Beach. Flamingos Golf Club is 2.3 mi (3.6 km) away. Nestled on the beach, this Bucerias hotel is within 3 mi (5 km) of Playa Bucerias, Marina Riviera Nayarit at La Cruz and La Cruz Sunday Market. La Cruz Square is 3.1 mi (4.9 km) away. 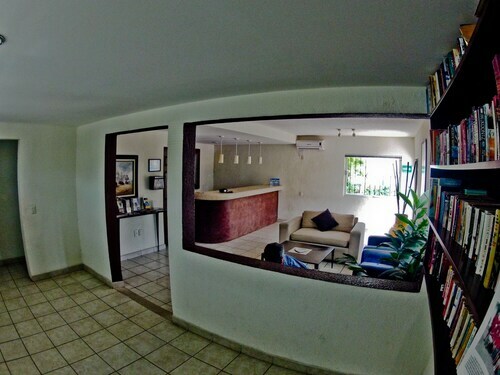 Situated near the beach, this aparthotel is 0.1 mi (0.2 km) from Playa Bucerias and 2.7 mi (4.4 km) from Nuevo Vallarta Beach. Flamingos Golf Club is 2.2 mi (3.6 km) away. 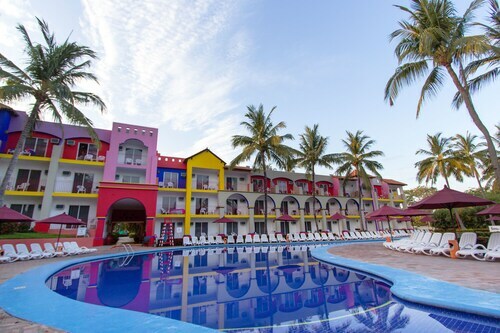 This Bucerias hotel is on the beach, 0.1 mi (0.1 km) from Playa Bucerias, and within 9 mi (15 km) of Nuevo Vallarta Beach and Vallarta Adventures. 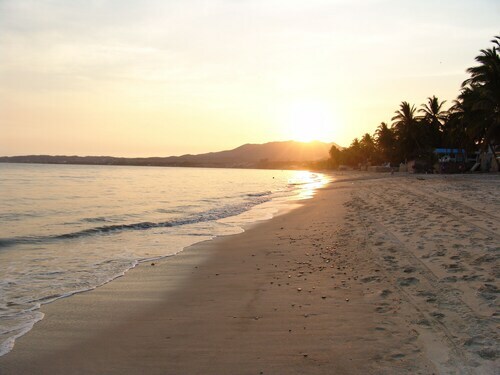 Punta De Mita Beach and El Faro Lighthouse are also within 16 mi (25 km). 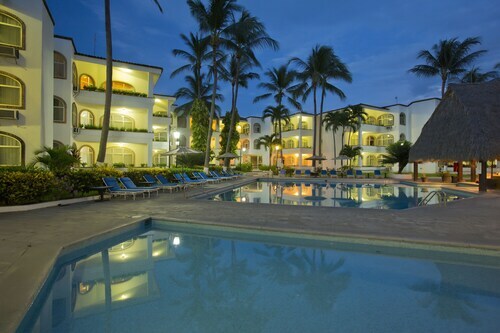 Situated by the sea, this hotel is 0.1 mi (0.1 km) from Playa Bucerias and 2.8 mi (4.5 km) from Flamingos Golf Club. 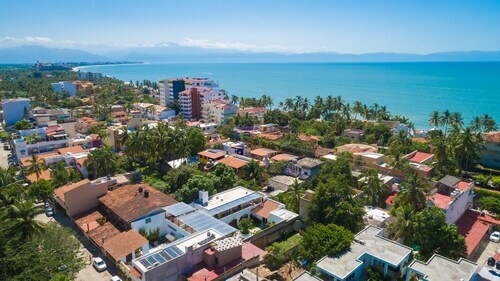 Nuevo Vallarta Beach and La Cruz Sunday Market are also within 6 miles (10 km). Situated by the ocean, this apartment building is 0.1 mi (0.1 km) from Playa Bucerias and 3 mi (4.7 km) from La Cruz Sunday Market. Nuevo Vallarta Beach and Flamingos Golf Club are also within 6 miles (10 km). Nestled on the beach, this Bucerias hotel is within 3 mi (5 km) of Playa Bucerias, Marina Riviera Nayarit at La Cruz and La Cruz Sunday Market. La Cruz Square is 3 mi (4.8 km) away.